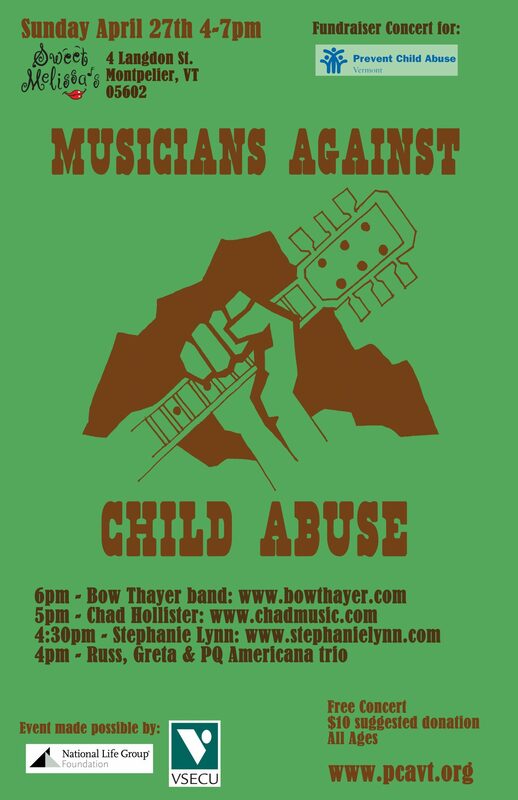 I just got back from playing “Musicians Against Child Abuse” a benefit concert to raise awareness and funds for Prevent Child Abuse Vermont. April was National Child Abuse Prevention month and I was really excited to do anything I need. What better way than through music? 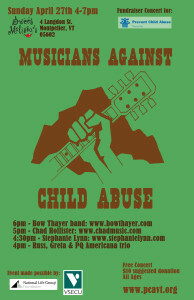 The event was a great success and I got to share the stage with some amazing Vermont musicians including Bow Thayer (www.bowthayer.com) and Chad Hollister (www.chadmusic.com). I also got to share the stage with my favorite guitarist ever — my dad! 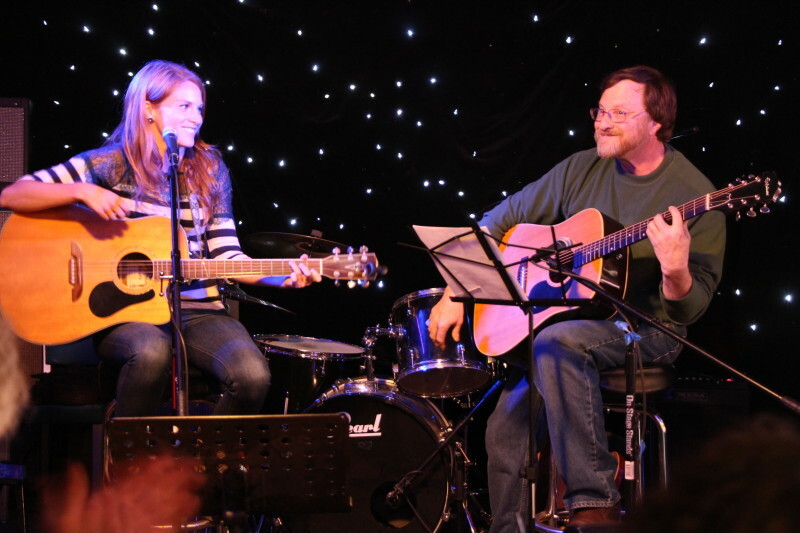 Yup, I pulled my dad on stage to join me for a few songs (see the picture above). Love that guy! Had so much fun shooting How I Met Your Mother for upcoming episode “Platonish”. 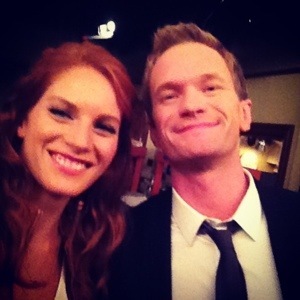 It was great meeting and working with Cobie Smulders and Neil Patrick Harris. There was also the added bonus of having my friend Sarah Karges turn out to also be in the episode and was my trailer neighbor. Such a fun day! I just finished a great weekend in the Destin, Florida area!Â I LOVE the South. The people were incredibly friendly and I had the honor to share the stage with inspiring songwriter from Nashville Bryan Kennedy and the fantastic Forrest Williams Band. 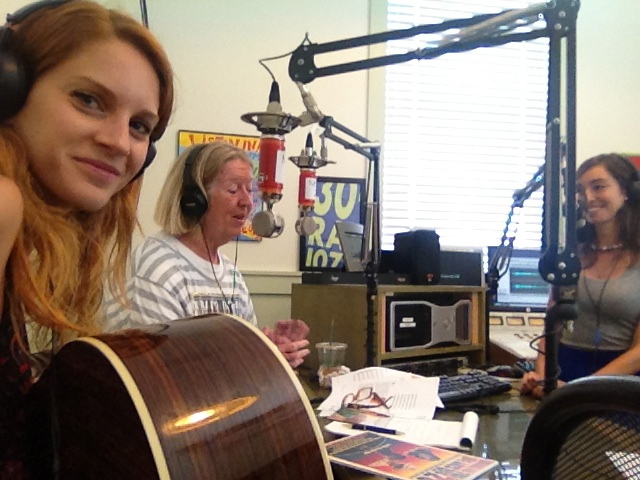 I started out my Florida trip by joining my good friend Marlyse Londe Phlaum in an interview by Claire Bannerman and Sherry Londe on 30A Radio 107.1. I talked a bit about my music and Marlyse and I promoted the benefit concert for the Arts in Medicine program at Sacred Heart Hospital of Emerald Coast, “Boogie For The Arts”. Marlyse was to be the MC for the event and I would be performing. I had a great time playing at the 4th Annual Vermont Music Fest at the beautiful Lareau Farm Inn in Waitsfield, VT. It was a spectacularly green field filled with positive energy.Â People were hoola hooping, painting, dancing, and enjoying great music and local Vermont food and drinks.Â It was a perfect Vermont day. I have some exciting shows coming up for the end of summer!Â I will be kicking off the tour with a show in my current place or residence, Venice, California.Â Then, I will be hopping a flight home to Vermont for a week of shows in my home state! I just got back from a week in Lake Tahoe, recording with producer, Tyler Lewis. It was an incredible journey. I decided to make the 8 hour drive to Tahoe from LA and I’m so glad I did. I left the beach behind, drove through the desert (I foolishly wore black leggings for the drive and was completely overheating — oops! ), past some gorgeous lakes, and then on into the mountains. Such a beautiful drive!